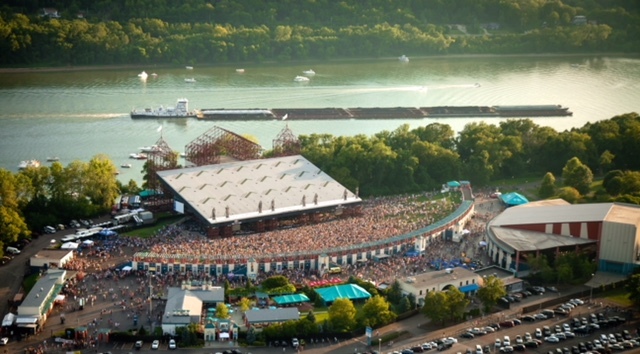 Summer concert season isn’t over yet – there are still plenty of amazing concerts coming to Riverbend throughout September! Kicking it off are the Counting Crows, bringing their 25 years of rock music to the Riverbend stage. With so much music to choose from, every concert is unique and exciting! The band is excited to be touring with multi-platinum rock band +LIVE+; when old friends come together to perform, the result is an auditory explosion. Pentatonix will take the stage in early September…do we even need to explain who they are? A world-wide phenomenon, Pentatonix is an a-cappella singing group that has sold out concert after concert, year after year. Their unique takes on pop music (as well as original tunes) make for an amazing musical experience. Country music fans will be happy to spend a night out listening to Lady Antebellum and Darius Rucker (formerly of Hootie & the Blowfish). And of the country’s most successful independent bands, Dispatch, will be sharing their brand-new sound at Riverbend as well. Tickets for these shows are on sale now at www.riverbend.org. Don’t miss out on the chance to see these incredible performers live!